BORAWAN ISLAND Padre Burgos: Love it, Hate it. Why is that so? 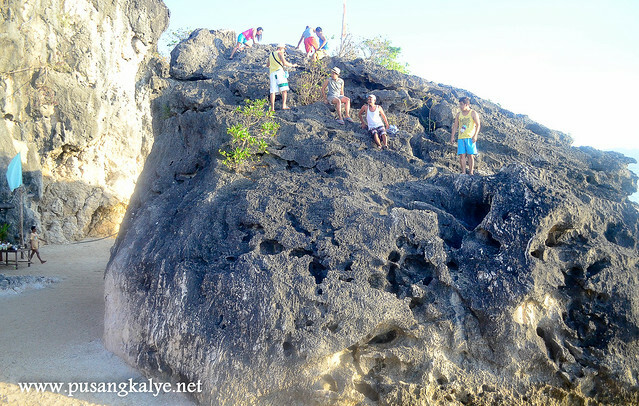 Supposedly because of the claim that the island is a combination of the white sands of Boracay and the limestone cliffs of Palawan. Don't blame me then if I also had high expectations of the place despite my effort to condition my consciousness not to. Perhaps that is why I got disappointed. 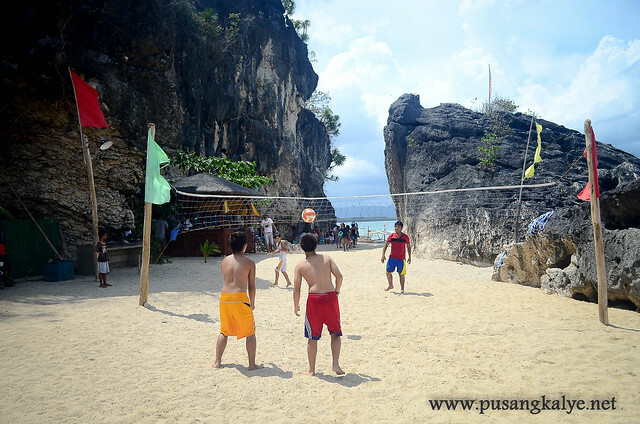 Borawan Island, whether it is in Borawan Island Resort or any other beach in the island for that matter, be warned is a "hate it or love it place". Many blogs have been written about this destination but they failed to outline the thing you should LOVE, and yes, HATE about it. Here's my take. 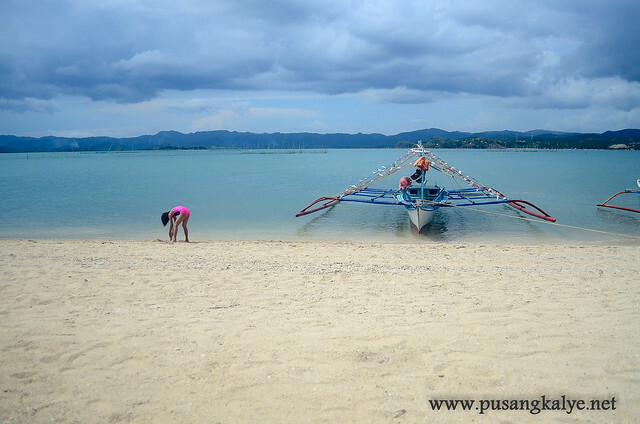 1 bus ride, 1 mini-bus, 1 tricycle, 1 boat transfer --all in 6 hours and you are in the island, NOT BAD! 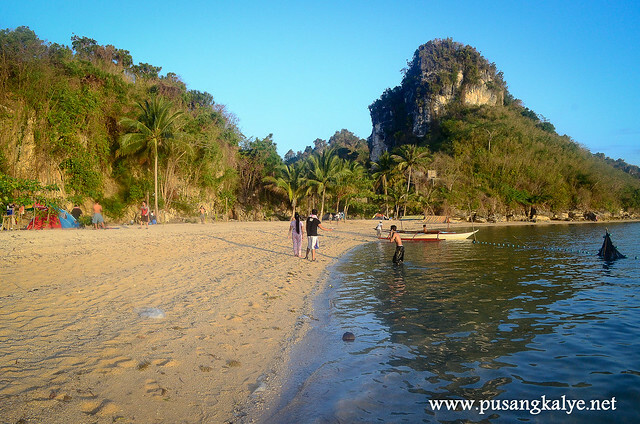 So HOW DO YOU GET TO BORAWAN ISLAND? 1. 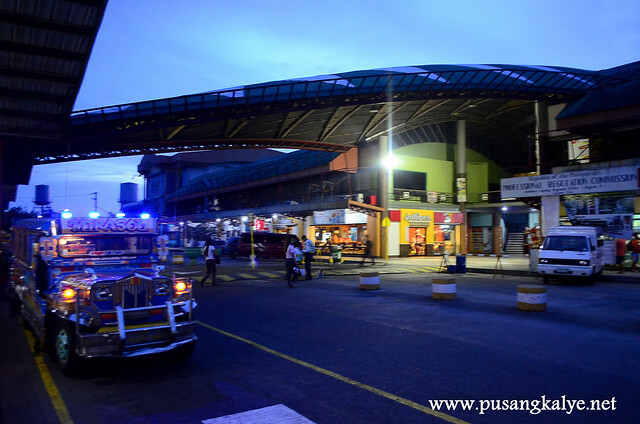 Take Jack Liner or LLI (Lucena Line Inc.) bus from Buendia or Kamias Stations to Lucena City Grand Terminal. 2. Mini-bus from Lucena City Grand Terminal to Padre Burgos Quezon Province. Note: there are three set-off points to the island depending on your contact. 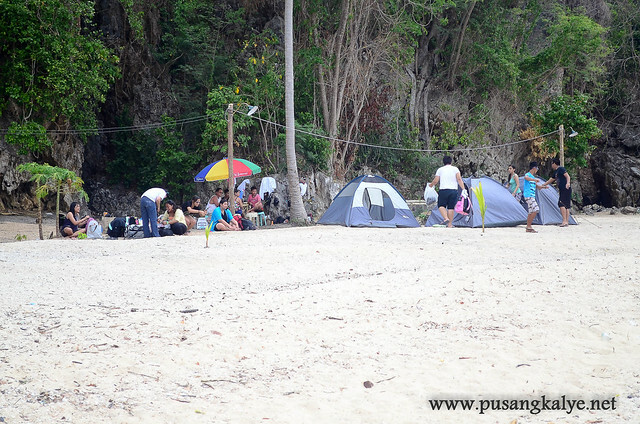 These are three different Barangays in Padre Burgos with local associations taking care of guests. 4. 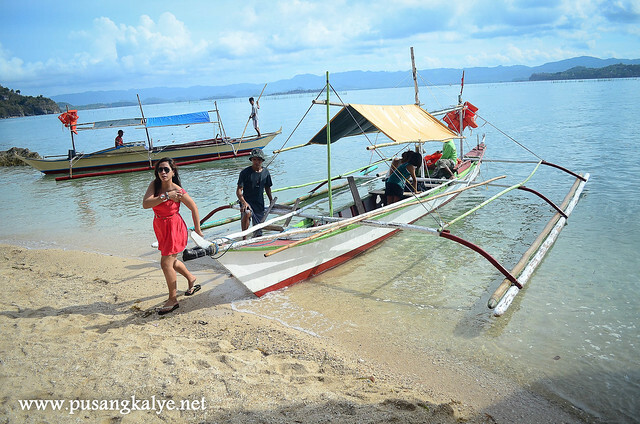 Boat Transfer to Borawan Island (Island Hopping Package includes Puting Buhangin and Dampalitan Beach). if you are to leave for Manila on an afternoon, expect the traffic to be annoyingly heavy in the areas of Sariaya and Candelaria in Quezon and San Pablo and Alaminos in Laguna. It took us eternity to get home. 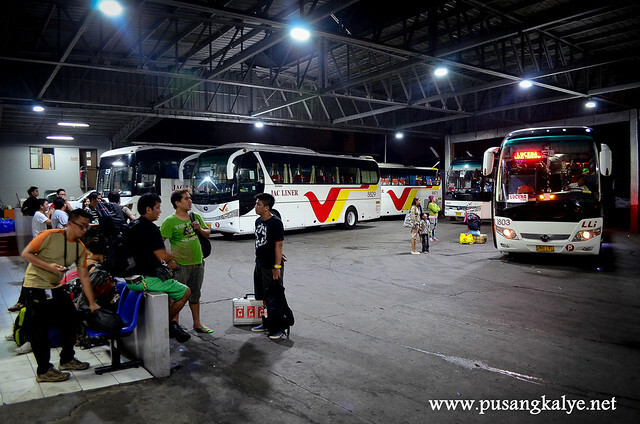 If you take the 2am bus from Manila, you will get to Lucena Grand Terminal before sunrise. There are carenderyas (small restaurants) in the terminal and I advise that you eat early breakfast here because all you can find in Padre Burgos are bakeshops and you don't want to go island hopping starved. 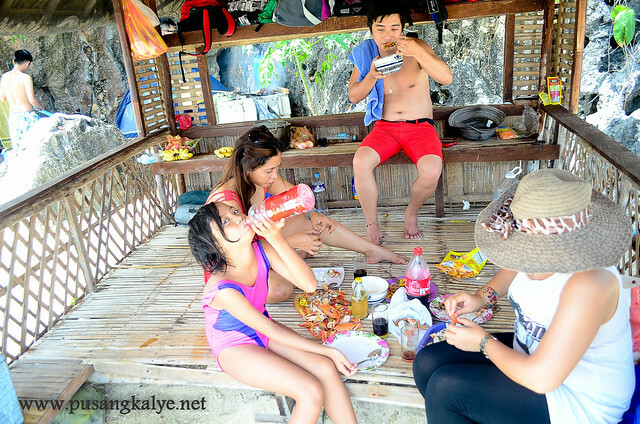 of the small talipapa with fresh catch. And seafood is cheap! 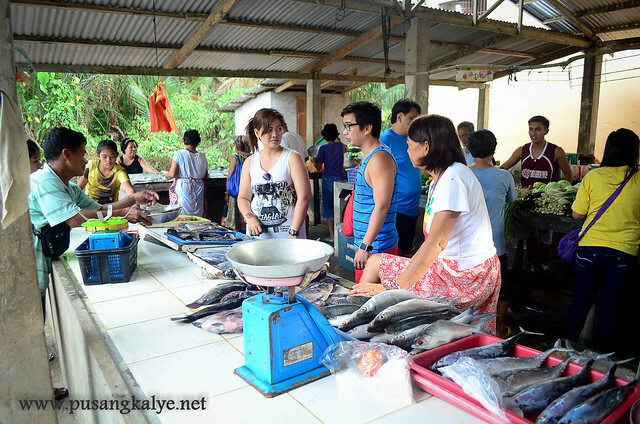 Padre Burgos is a fishing village so expect fresh seafood in the talipapa especially in the early morning. the boat transfer is quick. Borawan Island is very close to mainland. You can see it from the port. I actually thought I could just swim to get there. Boat transfer only takes 15 minutes. That's really near! Notice that I used the word "relatively"because it is still cheaper compared to flying somewhere South just to achieve that tan. But it also depends on how you define cheap in relation to the relative beauty of the place. In our case, ayos na. NOTE: This doesn't include expenses for Puting Buhangin and Dampalitan. 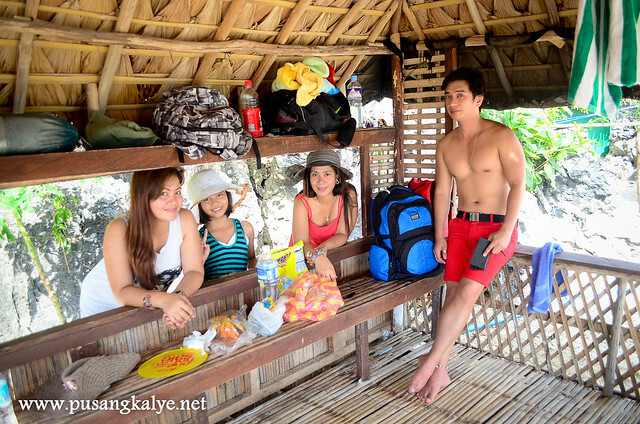 in Borawan Island Resort "bawat kembot may bayad". This is the BIG JOKE in the island, bawat kembot may bayad. Actually, pag apak mo palang sa isla me bayad na. Nakaabang na either si Manong guard or the personnel who is in charge of collecting entrance fee which is a bit of an annoyance. That explains the joke. You can occasionally hear people complaining about the fees and in many cases during our entire stay, we witnessed light arguments among other guests and the staff because of all these add ons. 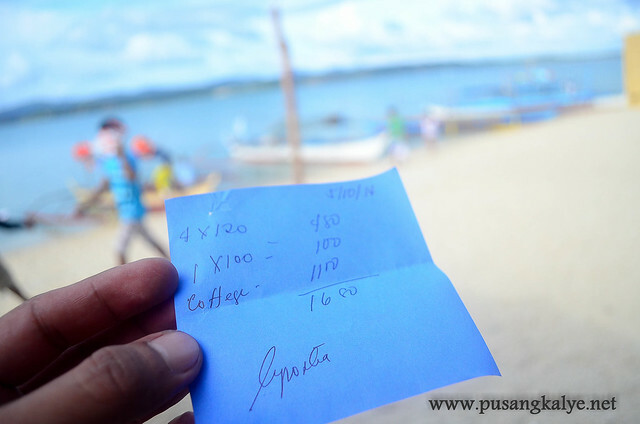 You get to see the difference when you island hop to Puting Buhangin and Dampalitan Beach, water there is very expensive. 50 pesos per container! Ginto. Panu ba naman, inaangkat pa ang tubig at sinasakay sa bangka. Cottage rent and entrance fees in the other two beaches I mentioned are cheaper though. That thread means unli-CR for 70 pesos. your payments translates to convenience. I also got irritated with this pay-this-pay-that scheme (lakas maka Tune-hotel peg) but I came to realize later on that at least you get what you pay for. I mean, at least when you stay overnight, you get to appreciate the effort of the resort to light key spots in the island. It's very reassuring that you could wander around safe even on a sleepless night. I enjoyed swimming in one area because of the spotlight nearby. The island is alive until before midnight. 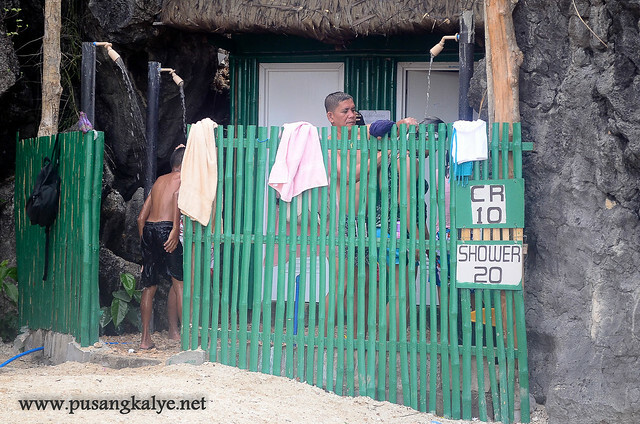 The restroom was also newly built with continuous water supply. Upon realizing that water is of scarcity in the area, I finally got to understand why with the expensive rates. They even put shower heads for a pleasurable after swim wash.
One guard at a time is always on duty so you feel a little more safe indeed. there are many activities you can do. There is a restaurant in the island. 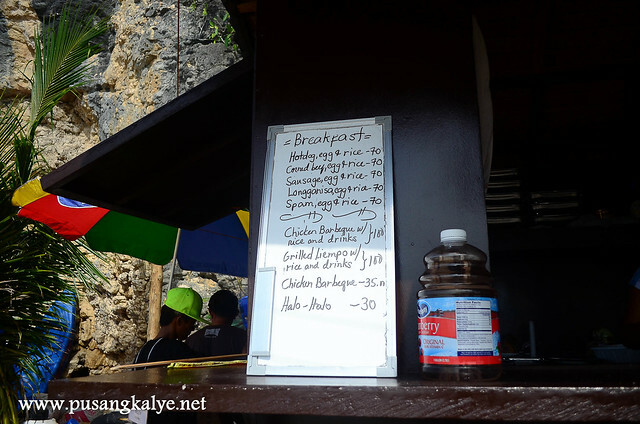 I was actually surprised they sell set meals which I think area reasonably priced. 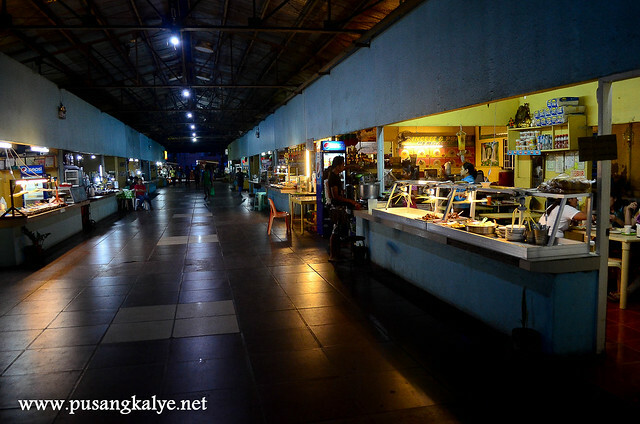 We don't know if the food is good though because we already bought all our provisions in the market before going here. If you are too lazy preparing your food (which is supposedly part of the experience), at least there is a restaurant you can turn to. And they sell liquors too! 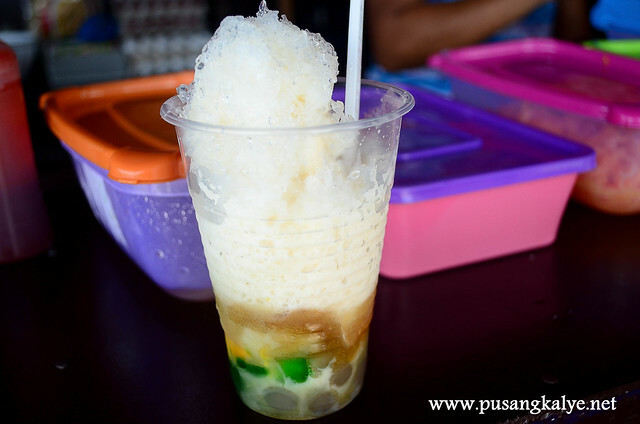 And halo-halo!, which tastes so good in a beach setup like this. Quite pricey for 30 pesos though given small condiments and so so taste. The thing is, it's not sweet enough for me and they put too little milk. Maybe intentionally, because if you request for additional milk then that's another 5 pesos for every small scoop. As I said, bawat kembot may bayad sa Borawan. Be warned. Lots of jellyfish swarm the area. The resort is aware of this so they designated spots for swimming set up with nets so as to deter jellyfish from invading the area. You are not very free then to hit any spot of the beach. Sad. You can always do so but at your own risk. 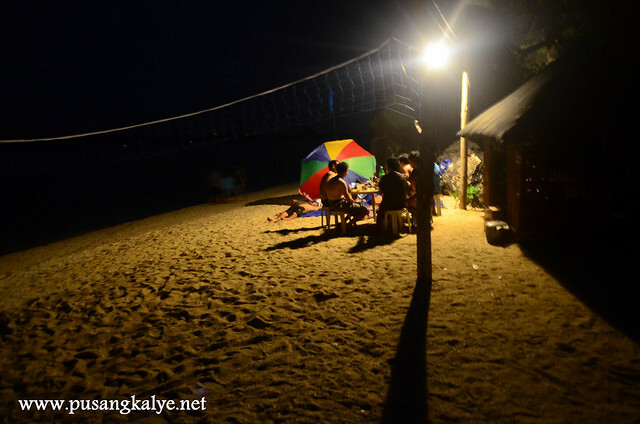 My wife invited me for a night swim in front of the area where we were camped (in the open sea) and she was attacked by jellyfish the moment we hit the water. I was more lucky I didn't have to endure the pain of jellyfish sting. Hindi pala basta basta. A day after returning home, the marks on her legs got even darker and more painful. That she had to treat more more than 3 weeks before the marks disappeared. This was the SHOCKING PART. I have never seen a beach this dirty. I mean, an open sea and you get water this murky? I was taken aback. And it was at around 3 pm that I noticed. That early and the water was already that dirty? Submerge your feet a few inches and you wouldn't even see it underwater. What's going on? Notice the succeeding photos I posted and see for yourself. I have my theory in mind but it requires a long explanation. 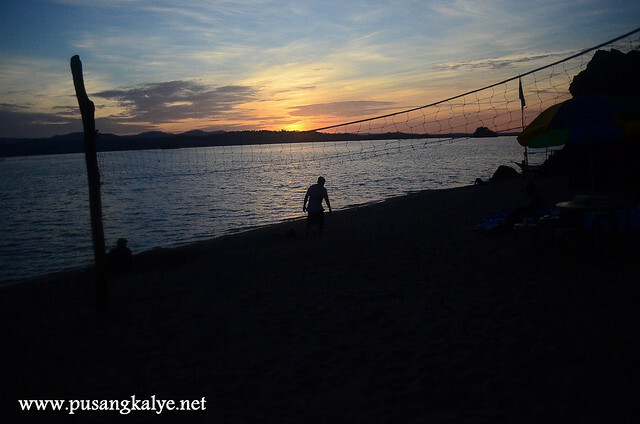 We tried other sections of the beach because nobody could stop our urge for a before-sunset dip but it was the same.Notice my friend in the photo below. to answer queries and assist you. Php 1800 . 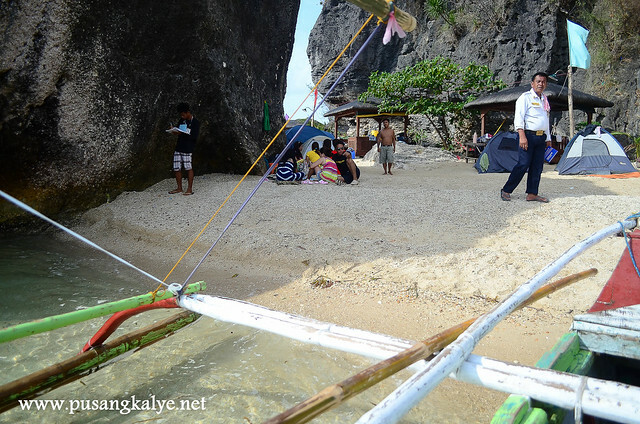 Boat Boking 3 island Puting Buhangin, Dampalitan beach at Borawan beach. Max 8 pax. 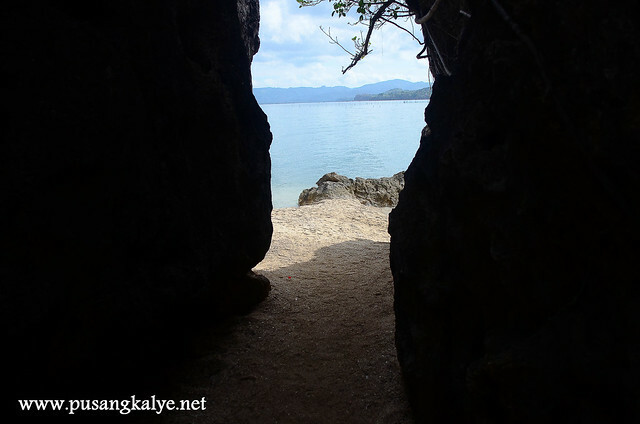 Much have been blogged about Borawan Island and Borawan Island Resort in particular but I guess mostly on the positive side. I am showing both sides of the equation here not because I want to discourage you from going here but at least for you to be able to carefully discern if it is worth it. If I got to discourage others, apologies. 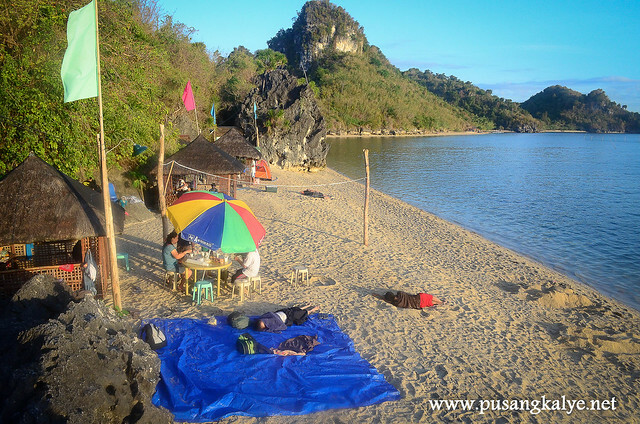 I would like to remind you though that other than Borawan Island, there's Puting Buhangin and Dampalitan Beach which are bundled in the island hopping tour if you are to rent a boat for only 1,800 pesos. 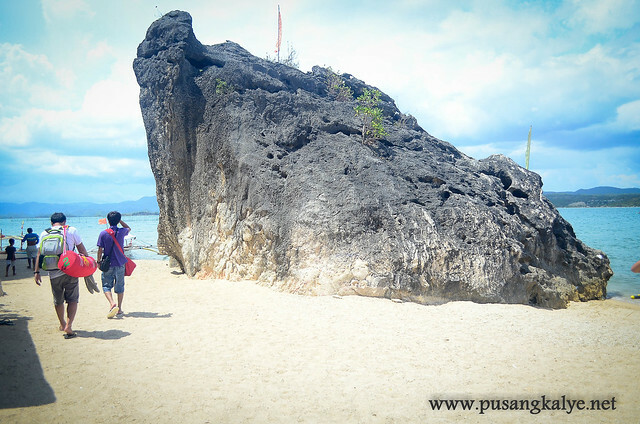 Good thing there is more to the area than Borawan. It would have been disappointing. Ask me if I enjoyed. I did. Would I come back? Perhaps one day, but the kind that I will crave for specially because there are many other amazing nearby attractions. Thanks for this post. 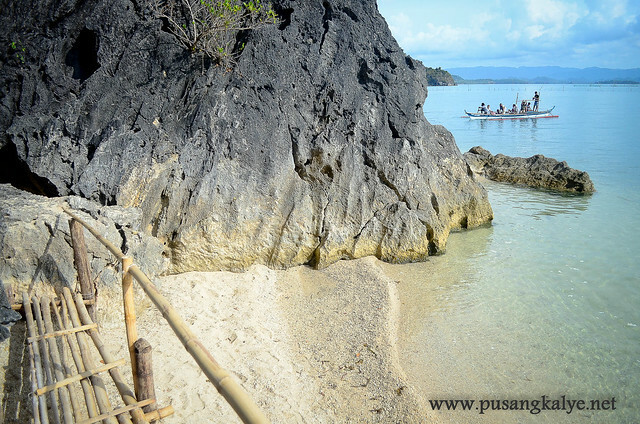 It would be very helpful if you could also provide a map of where this Borawan Island is just to give us (fil-ams) a sense of location next time. It would be very helpful if you could provide a map of where this island is located, this way it will give readers a geographical direction. I'm disappointed with the color of the water and being infested by jellyfishes plus it wasn't that really white sand at all to compare it to the famed Boracay sands (or it just the lighting of the photos?) since it was heavily featured on travel shows and blogs. 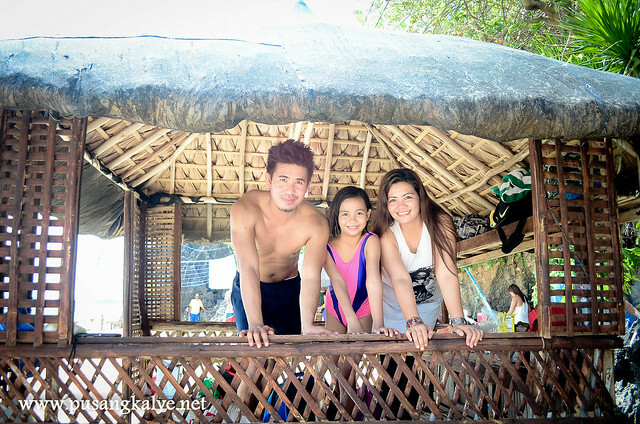 But I agree, with the amenities you presented it is a love-it or hate-it destination in Quezon. 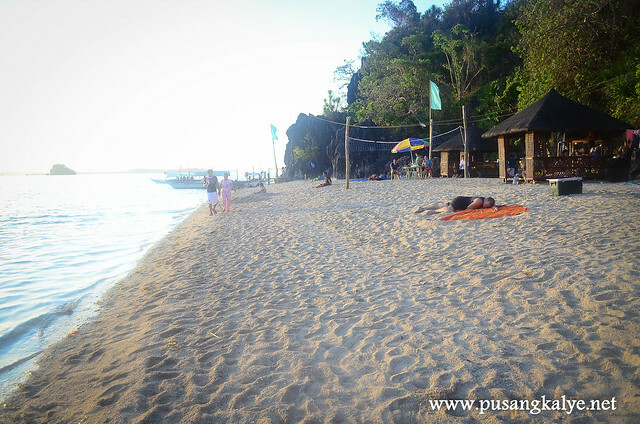 wala kasing masyadong galaw ang dagat sa mga panahong yan kasi tag-init at kalma ang dagat, ang buhangin naman ay maputi pero hindi ito powder sand ng tulad sa boracay at panglao, medyo me kamahalan nga ang singil kasi pinipilit ng lugar na makalikom ng patubig at pailaw kasi hindi pa abot ng sibilisasyun ang lugar, maraming paraan makatipid pero madali kayong makakabawi sa pagkaing mabibili nyu ng mura sa pamilihang lugar bago kayo magpunta ng dagat. 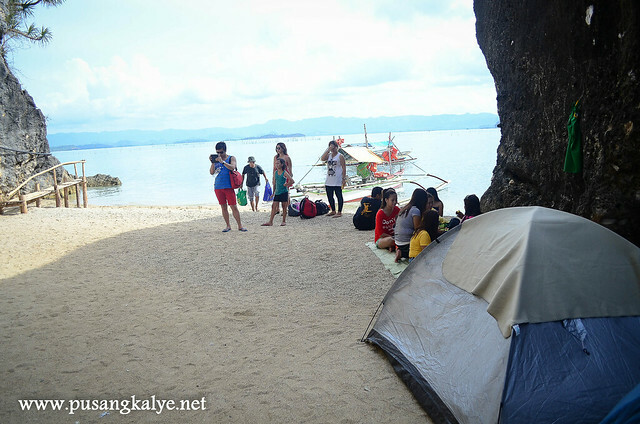 mura at sariwang pagkain, sariwang alimasag, at isdang samaral na matatanaw lamang ninyo sa mga nangingisda dyan sa malapit sa isla. meron namang mas magandang lugar, maayos na buhangin singputi ng hanap ninyo, pero sasakay pa kayo ng eroplano. hahaha. 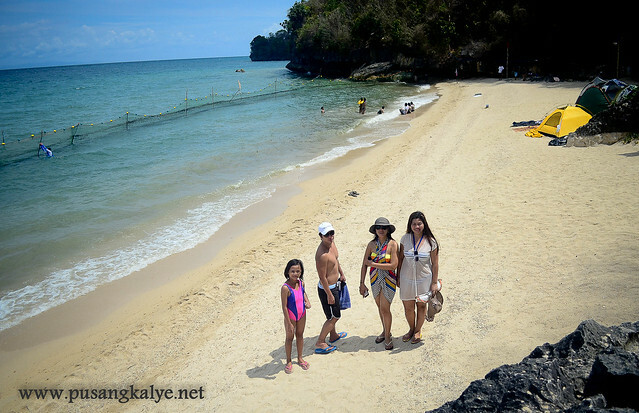 Sobrang mahal naman ng entrance nila at cottages. Dati 120 yun entrance ngayon 220 pesos na talaga. Pati nmn mga bangkero ang mahal na din ng singil. this is really informative and balance writing, my fiance and I are planning to go there should we pay for the whole boat? or there are fares per head? merong pampasaherong bangka, kung borawan lang kayo, magpampasaherong bangka na lang kayo, madali lang mag-antay. 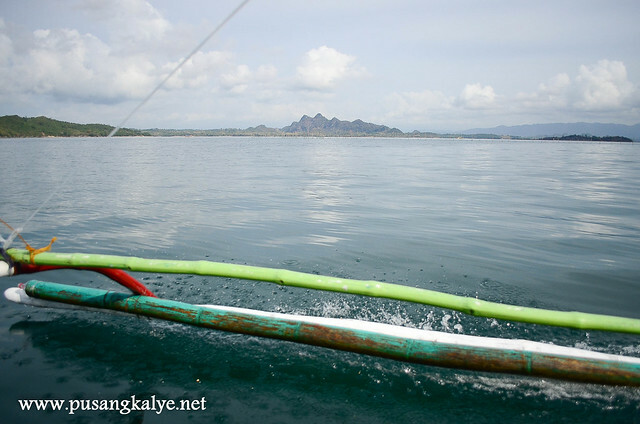 kung island hoping, kailangan nyo umarkila ng bangka! wala kayong kakilala, umasa ka, mahal ang singil sa taga-maynila. Would you have contact details of a boatman we can hire? Gud pm. 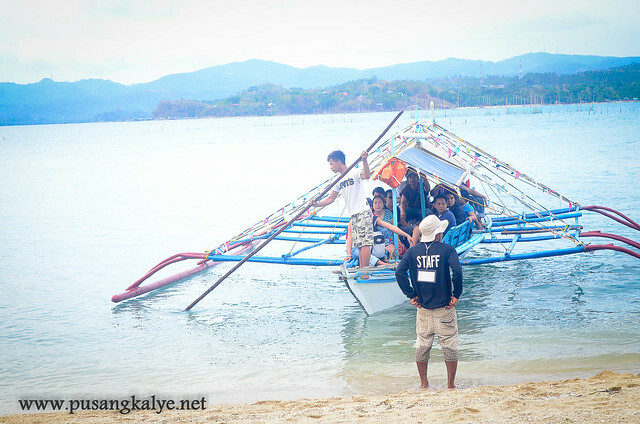 We have boat for rent here in p. Burgos just contact us here for more details 09069157383 look for aldy, boatman . Godbless. hi mam ask ko lng san po mismo sa padre burgos bababa to ride a trike para mkapunta sa jumpoff para mkasaky ng boat. mas mahal ba nag rent sa boat pag dalawa lang kayo? sana may sumagot. thanks! ask ko lang, magkano kaya ang babayran kung dalawa lang kami? 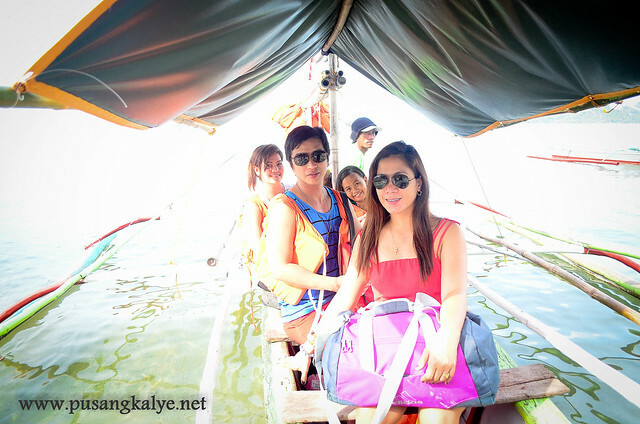 i mean magkano fee sa boat, ppntang borawan. 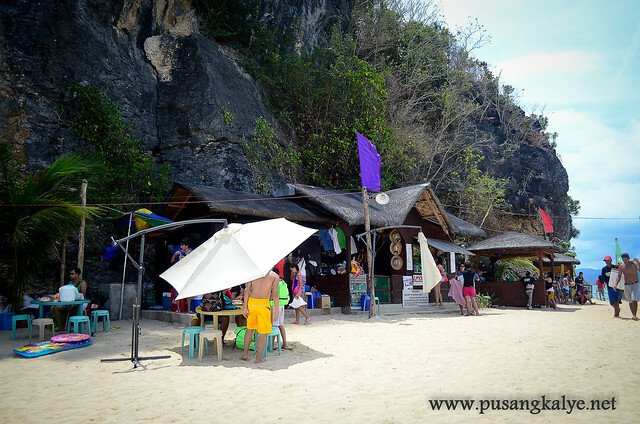 di naman kami mag island hopping, sa borawan lang tlga gusto namin pumunta, magkano kaya lahat lahat? sana may sumagot Thanks! I've a challenge that I'm simply now operating on, and I've been on the glance out for such info. Thanks for the blog.. Now i know... 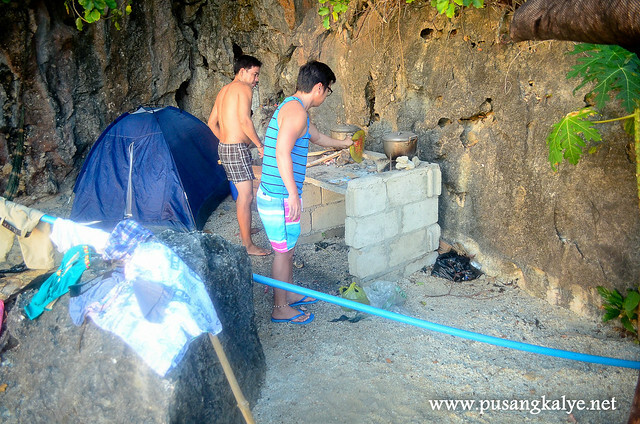 I won`t be going there..
May lutuan po ba dun or ihawan or bring your own? Pwede mag luto sa borawan or mag ihaw? hi.may plano kasi kmi pumunta sa puting buhangin sa april 2 2016. ask ko lang provided din ba ung van if ever susunduin kmi sa manila? thank to this review! 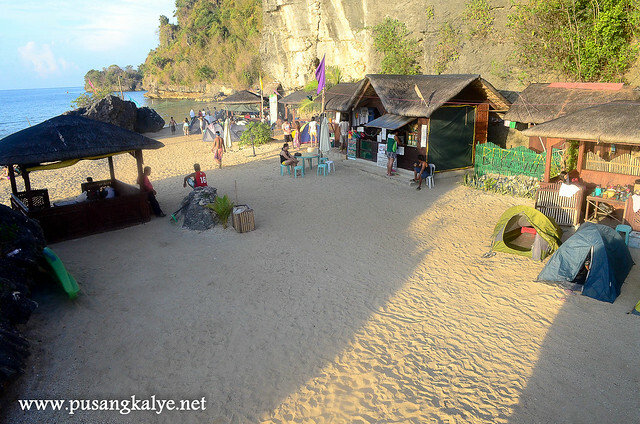 were planning kasi to stay in borawan ng group ko pero parang sa kwebang lampas na lang and i think mas maganda yung beach doon? haha! thank you! super helpful! Hm po entrance sa borawan?